Sehun is a crybaby, according to Baekhyun. On the November 8 airing of KBS2's 'Happy Together 4,' various SM Entertainment artists joined as the guests. 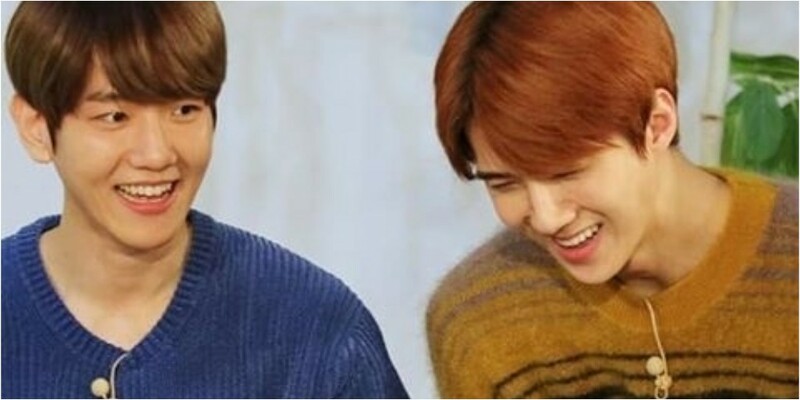 During the show, Baekhyun claimed that Sehun cries easily, and revealed, "In our early debut days when we used to live in a dorm, we would have a family meeting and criticize one another. At the time, Sehun received a lot of criticism. Sehun cried, saying, 'I even pray for you hyungs before going to bed. Why are you saying those stuff to me?' He was so cute."